February 22, 2014 July 11, 2015 Posted in Breakfast, Drinks, Food. 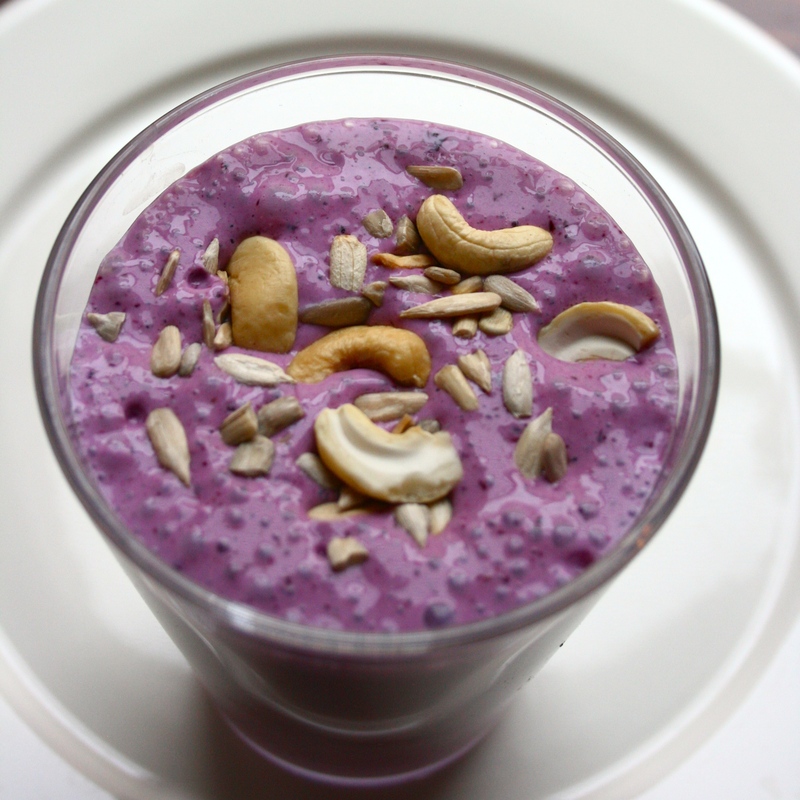 There is a great day ahead when you start your morning with a healthy shake. Usually I mix together milk, yoghurt, curd, blueberries or other berries, banana and honey. I love cashew nuts, so I add them to give to shake some crunch and good fats. Yam!